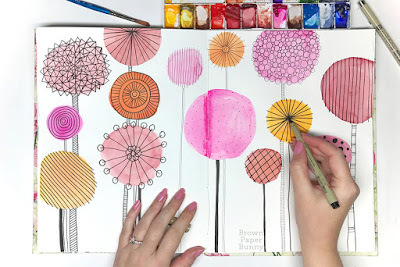 Welcome to Week 46 of Year 6 at Paint Party Friday! This week our random number generator chose #55 - Lisa Isabelle Russo. Lisa's painting really puts us in the spirit for the upcoming Chinese New Year - this year will be the Year of the Rooster. 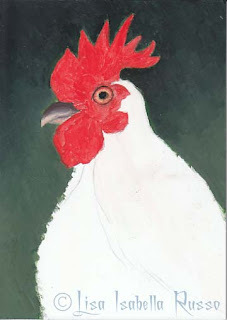 This handsome guy is still a work-in-progress so check back with her soon to see the completed painting! Welcome to Week 45 of Year 6 here at PPF! This week, random.org chose #20 - Irma/Miss Marple. Irma was inspired to start the new year painting with her fingers and this is what she created. It might still be a work in progress but it sure looks lovely and more intricate than the finger painting we remember as kids! Hope the New Year inspires you to try new ideas and techniques! Welcome to Week 44 of Year 6 at Paint Party Friday! Hope everyone had a great holiday season and are ready to start 2017 with lots of creative thoughts and actions! This week random.org chose # 21 - June Walker. 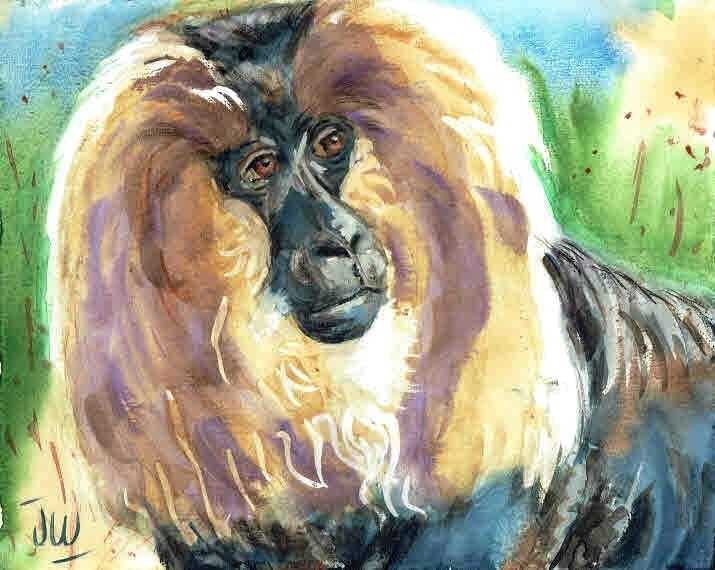 June was practicing with her watercolours and created this lovely painting of an endangered lion-tailed monkey. How handsome and regal is he!